33 [Avraham] planted a tamarisk at Be’er Sheva, and invoked there the name of Hashem, the Everlasting God. 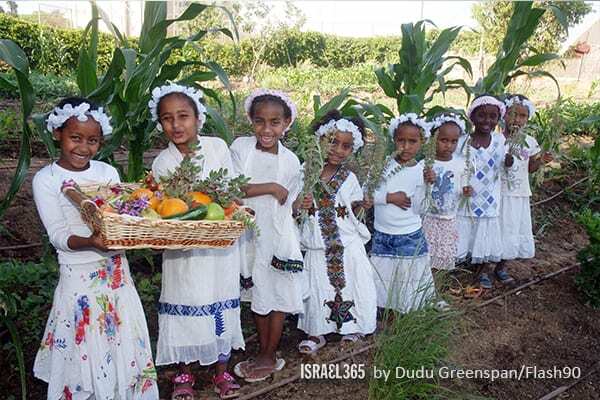 Ethiopian schoolgirls harvest crops from a field in one of Be’er Sheva’s many agricultural areas. 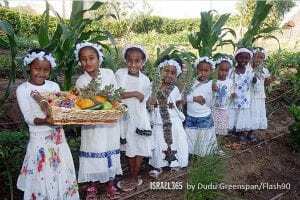 The Hebrew word used in this verse for everlasting is olam (עולם), which also means ‘world’ or ‘universe.’ The word olam is closely related to the word ne’elam (נעלם), meaning ‘hidden.’ The phrase “El Olam” (אל עולם), ‘Everlasting God,’ alludes to the fact that Hashem is also King over that which is hidden from us. God has specifically designed a world that is ruled by the laws of nature and hides His presence. It is up to man to see past His mask and reveal the Godliness that is hidden throughout the universe. What kind of a tree is a tamarisk? Does this tree have any significance with the invocation or the validation of the altar?